Fleck water softening system is one of the highly-rated water softener brands. This water softener is admired by a lot of people for their trustworthy services and trouble-free services. 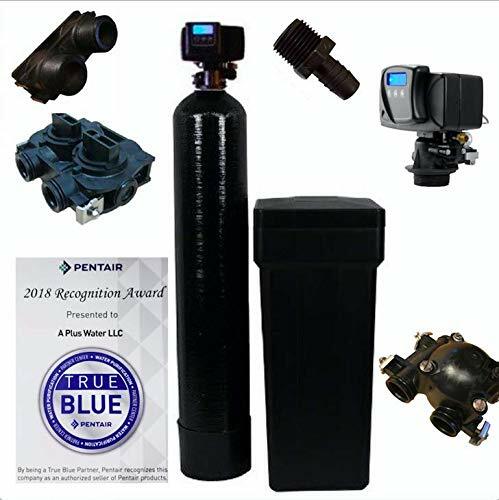 The parent company of this brand is the Pentair Water Treatment. Moreover, Fleck has received a lot of positive reviews from the customers because of their excellent services. Typically, Fleck products come with a 5-year warranty, which ensures an optimum level of customer satisfaction. Fleck has different models with diverse configurations. So, let’s discover the top-rated Fleck water softeners and know what they can bring to you! What Does a Fleck Water Softener Do? How Does a Fleck Water Softener Work? This unit of Fleck is equipped with a new valve and it employs an integral microprocessor-based control. This microprocessor is programmable and it adopts a high regeneration process to reduce salt consumption. Additionally, it is equipped with 64,000-grain capacity and it is suitable to big families consisting of five or more people. Plus, the continuous service flow rate of this unit is 13 GPM. Fiberglass is reinforced in the unit and it is built with ‘two tank’ configuration, which is separated with poly brine tank in almond. Fleck 5600 SXT is the most popular model of Fleck units. 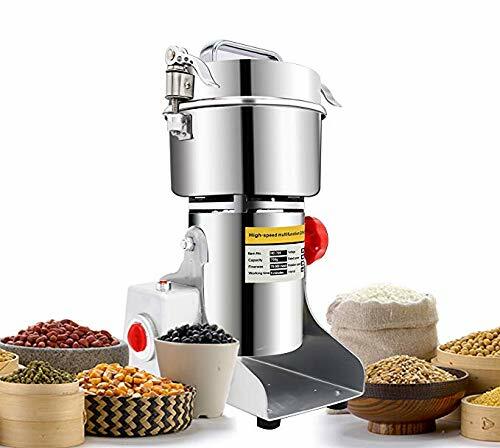 It comes with a capacity of 48,000 grains along with a service flow rate up to 12 GPM. Also, this unit is suitable for big families that have more than five people. There is an electronic controller on a backlit LCD display and with the touchpad controller; you can program the unit easily. In order to soften hard water, this unit utilizes an ion exchange process that removes the calcium and magnesium ions (these are considered hard ions). Furthermore, Fleck 5600 SXT is equipped with a meter based regeneration process. It means it will only work when you want it to work. Besides, the brine tank of the unit is made with a square design and it is capable of holding up to 250 pounds of pelleted salt. Moreover, the water softener comes with an overflow drain for overloading prevention and a safety float. Fleck 9100 SXT is a little bit different than the other models because it comes with a twin tank system. There are alternative tanks in the unit, which will ensure that the unit always keeps soft water. Also, the resin tank of the unit is equipped with 1.5 cubic feet capacity as well. Additionally, the service flow rate of this water softener is 12 GPM and it features an on-demand flow meter. This on-demand flow meter will measure the water usage as well as it will start the regeneration process when you want it to start. Fleck 7000 SXT is a big water softener with large capacity. It can handle water up to 64,000 grains. Additionally, it is equipped with the newest Fleck’s 7000 valve. This 1.25 valve permits the water softener to provide a high-pressure flow and it can work with 35 GPM as well. In addition to this, an integral microprocessor is fitted within the water softener to control every work of the unit. With this microprocessor, you can easily program the unit for high regeneration efficiency, which will consume less salt. The main objective of a water softener is to eliminate hard minerals from the water supply. Magnesium and calcium are the two most offending minerals that cause hard water problem. If these elements or minerals are in large number, they will cause a huge amount of lime scale in the pipes and on the home appliances. Ultimately, all of your home appliances life will be shortened. Now, a Fleck water softener will eliminate and reduce the level of these minerals and, as a result, it will improve the lifespan of the home appliances. 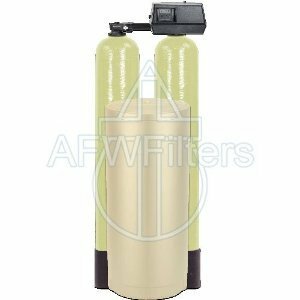 Likewise most water softener, Fleck water softeners employ two tanks – a brine tank and a mineral tank. Water from the supply lines goes into the mineral tank and the negatively-charged resin beads within the tank attract the positively-charged hard water minerals like – calcium and magnesium. Afterwards, the brine tank will flush the mineral tank elements with the sodium chloride solution (This is kept in the brine tank). It will replace the calcium and magnesium with sodium. Furthermore, a few minutes later, the mineral tank will be saturated with calcium and magnesium. Additionally, a regeneration phrase will start at this time as well. This regeneration will remove the hard water particles while flushing them to drain. In addition to this, the mineral tank will rinse by fresh water and the brine tank will be filled with sodium. Fleck water softeners are affordable products. Also, they come in different models with different pricing. So, you can easily pick one for your use. Fleck units consume less power than the other water softener units, which make them an eco-friendly brand. Every model of Fleck is simple and easy-to-use. Plus, they have an electronic power, which offers push buttons to program the unit. The customer support of Fleck is great and they are always willing to help the customers to solve any problem. Fleck water softeners are provided in a fully assembled manner. You can use them right away because they are ready for plumbing in. Also, you can easily find out the parts for plumbing in. Fleck is certified and tested by WQA (Water Quality Association). It brings credibility to the brand. Fleck is a top-quality brand that is liked by several customers. Almost all the customers have reported that they system is quite effective while, at the same time, they are easy-to-use and simple units. Also, Fleck is capable of removing the hardness from the water and this fact is proved by the comments of various customers. All in all, Fleck has a great reputation on the online market. So, if you want to buy a water softener for your home use, you should take a shot it as it is worth of spending money! Previous Post: What Does Reverse Osmosis Mean?